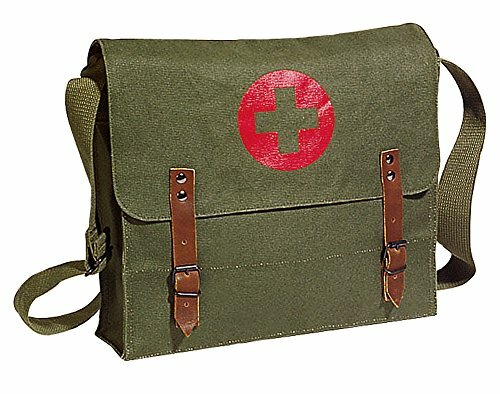 Great for traveling, school or shopping, this vintage looking medic bag sports the medic cross symbol. Adjustable shoulder straps for comfort, features brown leather closing straps and a large main compartment with flap. Makes a great gift.